It’s no doubt that inactivity can lead to a number of health and personal issues, including weight gain, onset of chronic and acute illness and even low productivity in school, work and daily life. Conversely, constant activity can prevent and may even reverse many of these issues. Moving around – by walking, running, even fidgeting in your seat, can help boost a person’s overall health. But not only do you have to be constantly active, making gains in your activity as well. Fitness trackers are one popular way to keep track of your progress. Depending on the tracker, wearers can track steps, calories, distance travelled, caloric intake, and even heart rate and sleep. Some even offer GPS tracking to map your distance and pace. While fitness trackers may seem like a needless investment for those who already have an athletic incentive, fitness trackers can be the “ghost you” you’ve been looking to compete with all along! Personal accountability – Unless the corresponding app you use with your fitness tracker encourages social media usage, the only person you’re truly competing against is yourself! Fitness trackers track your goals and your progress, psychologically encouraging you to walk more steps than you did yesterday; to run faster than you did yesterday; to sustain that peak heart rate for just a little longer for that intense interval training. 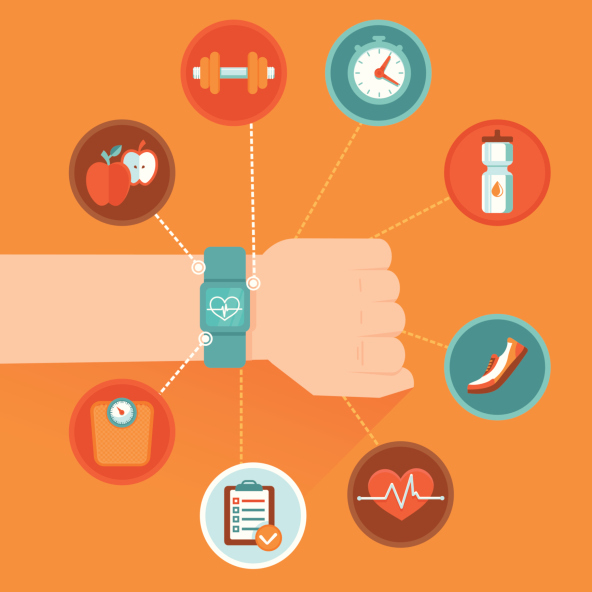 Research shows that wearing a fitness trackers – even if it’s just a basic pedometer! – can increase a user’s activity levels by 30 percent! Individually-tailored goals – Maybe you’re a season 5k runner but looking to get into the 10k and eventually half-marathon scene? Perhaps you haven’t gone for so much as a walk around the neighborhood since graduating from college. Either way, most fitness trackers have workouts, tips, and realistic goals you can set for yourself. It makes sense before running half-marathon that you can, at the very least, run a 5k and 10k. If you want to run a 5k but have been couch ridden, couch-to-5k programs to exist and in as little as 8 weeks, you can be running 3.1 miles, no problem! All about you! – Let’s face it; there’s a lot of anxiety around hitting the gym. Whether or not you work out regularly or haven’t worked out in a while, going to the gym can be nerve-wracking for many people. “Am I doing this right? Are they watching me? Will I be laughed at?” are all questions many of us have faced one time or another. Fitness trackers, on the other hand, are a “crutch” – not in the bad, but in the sense that you can rely on them and tune into them to ensure you’re working out for you. Whether you decide to workout at home, at the park, or at the gym, the fitness tracker and where you are in your goals can serve as an excellent thing to focus on when nerves hit you. 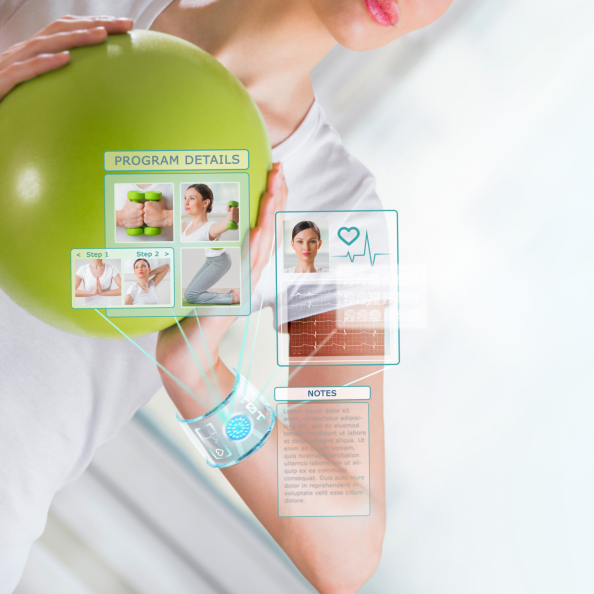 Financial motivation – Many models of fitness trackers are retail-priced at over $100. For many, that can be steep for a little band that wraps around your wrist and displays information most athletes don’t need to know to motivate them to workout. But this is part of that psychological encouragement. If you’re dropping the cash for it, you might as well use it your advantage. Up-to-date weight loss tool – As you’re busy trying to beat and maintain your personal records, you may not even notice the gains (or well, losses) you’re making in your weight goal. Or you may. Regardless, seeing your activity levels, noticing whether you’re in the correct heart rate zone and comparing with your weight on the scale after a few weeks can determine whether or not you’re on the right track to your desired weight. Group dynamic – While personal motivation is ultimately a key component of physical activity, many people also enjoy the benefits of posting their activities on social media – and many fitness trackers’ apps promote linking up with other fitness trackers in your area, creating workout groups, and hosting challenges. Incentives promote activity in the workplace – Fitness is no longer an individual hobby or habit. Workplaces are getting involved in encouraging employees adopt and maintain a healthy lifestyle with many incentives. Richardson Software, for example, promised to reimburse employees the cost of their fitness tracker if they walked one million steps – and employees were taking advantage of any free time they had to walk. Oscar Insurance Company started a program where they would pay their employees $1 for each day they surpassed a goal in steps. If your company’s not on board with these incentives yet, try to pitch the idea! Having healthier employees cuts down costs for companies too! 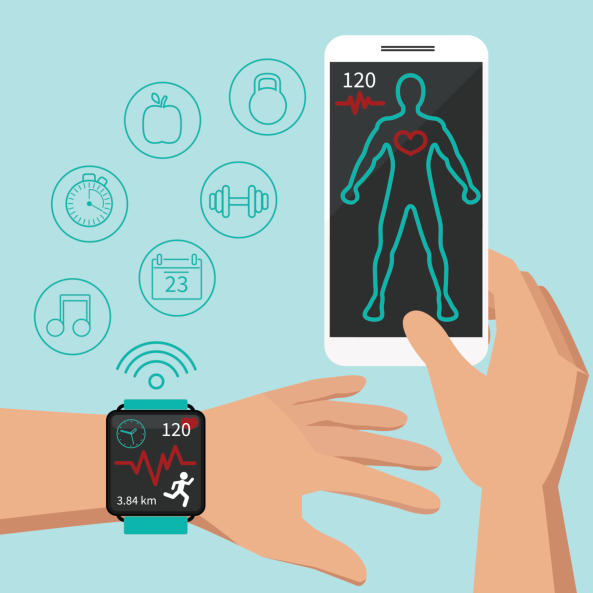 Variety of trackers – Since there are a variety of fitness trackers out, an inquisitive consumer can easily determine which features they want most on their tracker. GPS may not be necessary if you know the distance of the trail you normally hike; same for the heart rate feature if you have a watch and can monitor your heart rate yourself. At this point, they’re essentially customizable! Everything you need in one – Once you’ve determined what features you need for your fitness tracker, you’re all set and ready to go. There’s no need to open an app or worry about whether or not you have enough battery to have multiple apps open; most trackers will automatically sync tracking activity via Bluetooth to your smart phone. If not that, some trackers have the option of being manually plugged into a computer via USB to upload information. A nightly charge or while plugged into a laptop can be enough to keep many trackers going throughout the day – and for a few, even the year! Sleep too! – Back in the day, tracking the quality of your sleep meant sleeping in a lab with wires hooked up to you to determine whether you were in REM or NREM sleep; now fitness trackers can easily determine the quality of your sleep based on your movement during sleep. Sleep is an instrumental determinate in the quality of your health and lifestyle and ensuring you get at least 3 full cycles of sleep in a night is pivotal to maintaining the energy you need throughout your day while giving your brain ample time to store and process everything that’s happened in the day prior! Hi there, I found your blog by means of Google even as looking for a related subject, your site got here up, it seems good. I have bookmarked it in my google bookmarks. Personally, I agree 100% with fitness trackers. It’s just so effective in achieving your fitness goals. It makes you focused and on track. Just don’t get too obsessed with it. It is one of the most beautiful fitness tracker that can track my daily activities accurately. Basically it help me by reminding my daily activities throughout the whole day. I like to do my daily exercises timely but I am busy all the time. So this is very helpful for me to remind and I am going to be fan of this tracker. Thank you for those wonderful reviews. Fitness Trackers are very helpful running tools. Whether you’re just getting into running or you’re a serious running buff trackers can help boost motivation. Having data about your performance can be very helpful for your running routine. It definitely makes running more interesting. Indeed, Fitness tracker made a huge jump of success last year. It’s potential and benefits reached far more than what we expected. I’m hoping to read new updates for 2017 from you soon. This is an awesome fitness band. cause now a days it has become a part of my daily life that make me active about my daily exercises. I love this band for its activities reminder that helps me to do my daily work in specific time. one conscious about their health and Fitness Tracker news which is necessary for everyone. Thank you for sharing such an informative blog.your mobile device can help you become a fitter and healthier you with great health and fitness apps that cost next to nothing. You don’t have to blow through your savings on gym memberships and personal trainer fees if you know how to use your smart phone as a training tool. I totally agree that Fitness Trackers are very helpful. Walking is an easy way to lose weight, keep fit and improve your health overall. You can do it everywhere anytime. Combine it with a nutrition diary and both of them will help even more to achieve your goals.